Tipped as heavy favorites to win Group A, Uruguay kick start their World Cup 2018 campaign against Egypt on Friday early kick-off. Uruguay haven’t looked back since qualifying for the tournament as the second placed team in South America. They are coming to Russia on the back of 3 consecutive wins and their players are in better shape than any other team in the group. The La Celeste lost just 1 of their last 9 and often proved hard to break down as they kept six clean sheets in the process. The biggest news regarding Egypt is the injury picked up by Mohamed Salah during the Champions League final against Real Madrid. This might have taken a lot of attention off their on-field vulnerabilities, but here we may need to understand that they are the weakest team in Group A alongside Saudi Arabia. The reasons are clear, the team look good on paper and media since they have a bunch of players from English Premier League, but repeatedly failed to secure results while playing outside their home country. They are coming on the back of a 5 match win-less run and failed to score in three. Hector Cuper usually set his team up in a defensive formation, looking to counter whenever possible. This proved effective during the qualifying phase, but had little success coming against top and moderate teams. There are still doubts on Mohamed Salah availability, however credible media outlets confirmed that he is fit enough to start on Friday. Yet, he may not get through the entire 90 minutes. The new Huddersfield signing Ramadan Sobhi who was previously with the books of Stoke City is the likely candidate that could replace Salah incase the Liverpool star fail to prove his fitness in time. El Hadary – Abdel-Shafy, Ali Gabr, Hegazi, Fathy – Abdallah Said, El Neny – Hamed, Warda, Salah – Mohsen. Oscar Tabarez have the luxury of a fully fit squad and most of his star players in prime form. He is expected to go with his favorite 4-4-2 formation with Cavani and Suarez in the attacking front. Atletico Madrid Diego Godin and his club mate Jose Maria Gimenez are the preferred center backs while options are plenty on either wings. It will be interesting to see the partnership of the young Matias Vecino and Rodrigo Bentancur who are coming after a fine season in Serie A with Inter Milan and Juventus respectively. Muslera – Gaston Silva, Gimenez, Godin, Caceres – Cristian Rodríguez, Bentancur, Vecino, Laxalt – Suárez, Cavani. The lone meeting between the sides came in a friendly back in 2006. The current captain Diego Godin opened the scoring in Uruguay 2-0 win, the second coming as an own goal from Egyptian boot. Uruguay is without a doubt the team to back here. Their pre-tournament results are excellent and this is a team with the perfect mix of youth and experience. The firepower upfront added by the combination of Cavani and Suarez is something that add the extra incentive. Egypt with or without Salah haven’t had the best outings outside their home turf. Since, confirming the tickets to World Cup in October. The Pharaohs haven’t won a single game since, drew 2 and lost 3 since. Moreover, the team have struggled for goals as well, which means Cuper conservative approach has started to backfire. On the basis of the above analysis, the South Americans must win this without much fuss and I expect them to do this without conceding a goal. 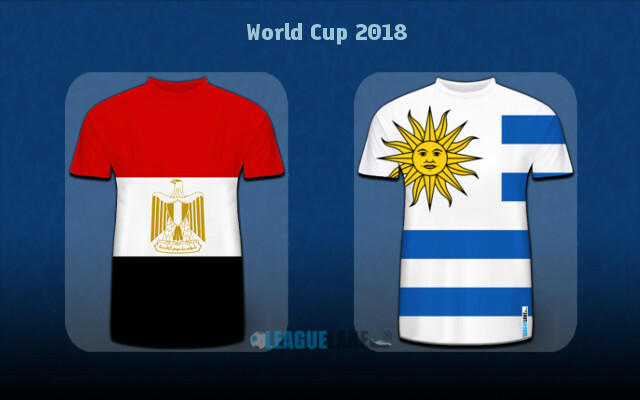 Predicted Correct Full-Time Score: Egypt 0-2 Uruguay @ 6.50 odd. Uruguay to win for 1.66 odd is the safe bet, but I will be going picking the South Americans to win with a -1.5 Asian Handicap for 3.07 odd. My second option will be Uruguay to score at least twice here, priced at 2.00 odds. For those who are looking for anytime goal-scorer, Edison Cavani is a better option than Suarez due to his poacher instinct and ariel prowess which is more effective against a team like Egypt. Odds for Cavani to score anytime is 2.25.